If you really want to call yourself a responsible user, you must first and foremost know everything about your computer, starting from hardware and ending with software.PC Info is a software solution that centralizes all the necessary data belonging to the former category in order to make users aware of their machine’s capabilities as well as how they could exploit it more efficiently. It will quickly scan your PC and get you access to a variety of services and programs. 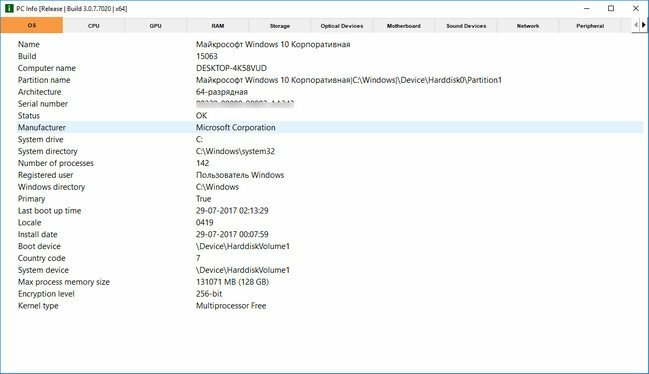 The application not only gets you precious information about your computer’s hardware configuration but also gives you access to a series of controls you frequently use.